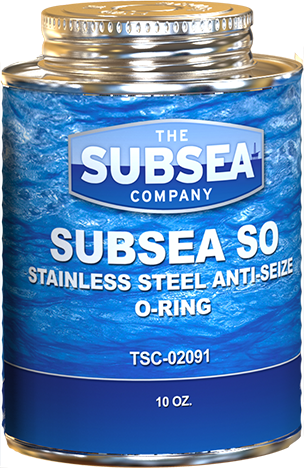 Subsea SO Stainless Steel Anti Seize O-Ring is a versatile thread compound with anti-wear and extreme pressure characteristics, formulated with elastomer compatibility in mind. Synthetic oils ensure lubrication and sealing by slightly swelling rubber O-rings and seals at temperatures between -50oF to 325oF. An extreme pressure additive package is included to reduce friction and increase efficiency by filling surface imperfections on metal surfaces. Subsea SO is insoluble and has a high dielectric strength for applications where electric conductivity is a concern. Subsea personnel looking for unique characteristics from a thread compound should consider Subsea SO for a multitude of applications to prevent wear, reduce down time and increase efficiency.